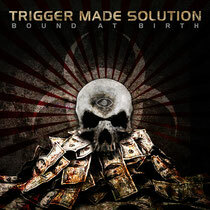 TRIGGER MADE SOLUTION is a thrash metal band from Portugal. Their debut promo EP Bound At Birth has just out and the FREE DOWNLOAD is available from December 1st. You can download at their page on facebook, ReverbNation and BandCamp. Visit there and get them all. See the DOWNLOAD section.